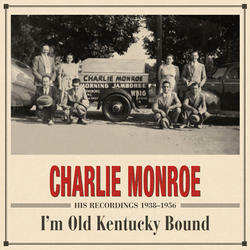 (4-CD set plus hardcover book) The other Monroe brother! Bill Monroe split from his older brother, Charlie, and went on to invent bluegrass music. This is the story of what happened to Charlie after that rift. Striking out on his own, Charlie developed his own ample talents rooted in his affable personality. His group, the Kentucky Pardners, like Bill’s Blue Grass Boys, could operate at high speeds without discomfort. Though Charlie might not have conquered as much new musical territory as Bill, his music had a vivid personal sound. And he scored some hits, notably Bringing In The Georgia Mail. Charlie's voice was high, sweet and animated, radiating boundless good cheer that buoyed the spirits of his wartime audiences and sustained his popularity through the 1940s.